We first enter the Consistory as knight aspirants – offering ourselves as servants and soldiers in the Grand Army of the Ancient Accepted Scottish Rite. 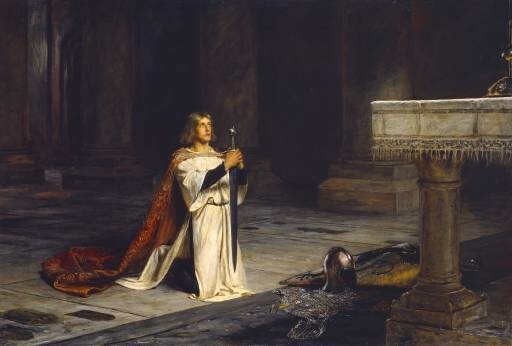 As soldiers meeting in the Consistory of Sublime Princes of the Royal Secret, we commit to protect and defend those who can no longer fight for themselves. We do so in the spirit of the Crusaders, who, though they were from many countries and cultures, united in common cause in the service of God. Our enemy today is apathy, distraction, and self-involvement. We spend our best time on the job, and then we look for relaxation and leisure in hobbies, sports, television, family, or other reasonable and proper activities.